Before reporting my latest observational session, I would like to announce that I will be attempting to obtain a “Explore the Universe” Observing Certificate offered by the Royal Astronomical Society of Canada (RASC). The website of the program is: http://www.rasc.ca/explore-universe Wish me luck in my quest to see the stars. On December 15, 2013, the night sky was graced with a full moon. This one was unusual, because it was not only the last full moon of 2013, but the smallest. That’s because the Moon was at its farthest, or at its apogee, at the time. As a result, it looked smaller than the average full moon. Luckily, the sky was clear at that time. I decided to take my telescope out to view the smallest full moon. It was a really cold night, however there was not a cloud in sight. 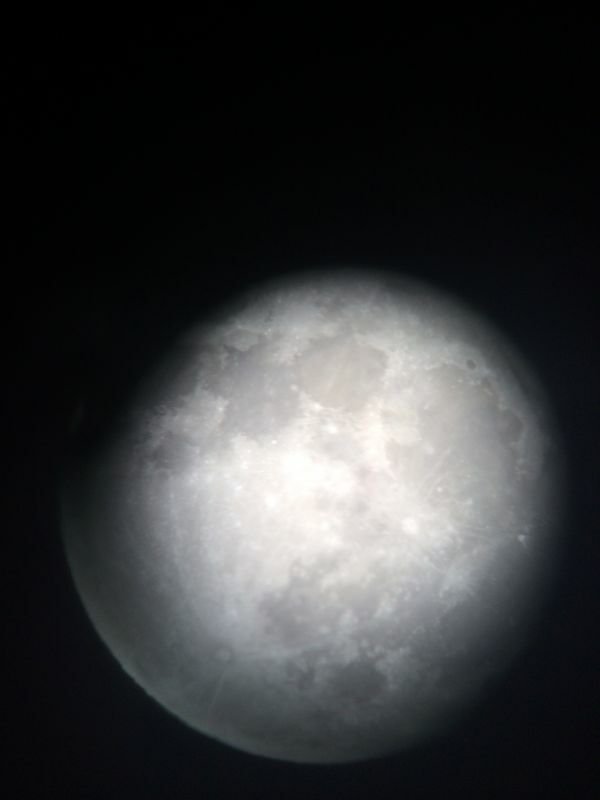 After the telescope was set up, straight away, I slewed my telescope to the Moon. After getting it in focus, I saw a beautiful full moon with all its mares (grey sea) and mountains. It was beautiful! 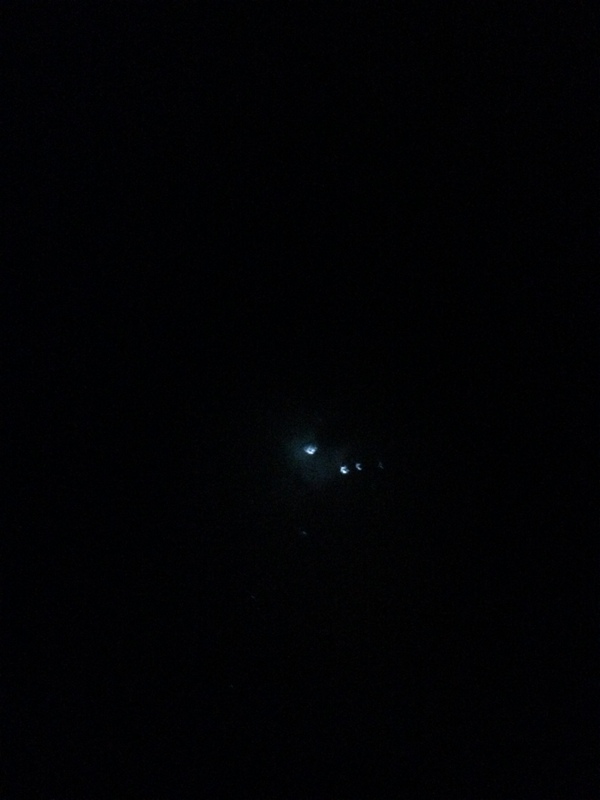 After looking at the moon, I decided to turn my telescope to the constellation Cassiopeia; more specifically, the star “Schedar”. Looking at the constellation Cassiopeia was part of the requirements to obtain that certificate I mentioned above. It was a bit difficult to find Schedar due to the light pollution in Markham at the time, however, as I was slewing the telescope I couldn’t help but notice a lot more dimmer and farther stars that could not be seen unless with a telescope. It astonishes me how so many stars exist, yet we see only the brightest stars in the sky in places like Markham, let alone Toronto. It was an intriguing sight! Eventually, I found Schedar. Looking at that star, it was a bright ball of light that outshined all the other stars in its vicinity. A rule I set for myself is to observe the brightest stars before checking off the constellation for my program. As a result, seeing that star allowed me to check Cassiopeia off my list. After viewing Cassiopeia, I was thinking about whether to call it a night, or continue. After looking at Orion, I remembered how one of the stars was close to the Horsehead Nebula. Therefore, I decided to observe it. Unfortunately, the telescope was not slewing. Pressing the buttons to slew the telescope only nudged it instead. Turning it off for a small amount of time allowed the slewing function to work again, if only for a short time. This led me to conclude that the batteries had died. Having no replacement batteries, I decided to call it a night. During my December 15, 2013 session outdoors, I observed the full moon at apogee and I observed the star, Schedar, in the constellation, Cassiopeia. It was a good start on my list of objects to observe. Two down, fifty-three more to go.